Front man Brendan Urie takes over lyrical duties successfully and confidently. The habitually contrived pretentiousness of Ryan Ross’ often disaffected riddle-like limericks are noticeably absent, but that doesn’t mean clever lyrics aren’t to be found here. Urie demonstrates his own knack for writing crafty phrases such as “Mona Lisa wear me out I’m pleased to please you/I’d pay to see you frown/There’s nothing wrong with just a taste of what you paid for,” which he delivers with dynamic vocal cadence in the hit lead-off single “The Ballad of Mona Lisa.” The insanely hummable chorus of the upbeat “Memories,” may be the group’s most hook-laden tune to date, and sounds as if it has the potential for crossing musical genres boundaries and introduce Panic! to new audiences. “Oh memories where’d you go/You were all I’ve ever known/How I miss yesterday and how I let it fade away,” Urie sings with an irresistible combination of remorse and buoyancy. The second half of the program begins with the dance-like beat of “Ready To Go (Get Me Out of My Mind),” which sounds like it borrows a page from The Killers’ catalog of hits, before abruptly shifting musical gears and segueing into the acoustic ballad “Always,” which is performed in the sparsely produced style of Plain White T’s “Hey There Delilah.” And of course, no Panic! album would be complete without an eclectic musical theater number, found here in “Sarah Smiles,” a song Urie wrote to impress his girlfriend. “ I was fine, just a guy living on my own/Waiting for the sky to fall/Then you called, changed it all, doll/Velvet lips, the eyes to pull me in/We both know you’d already win/Oh you’re original sin,” Urie laments in this personal love letter. 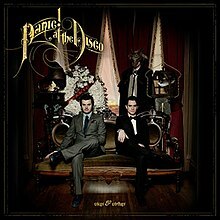 Vices & Virtues is a multi-faceted piece of work that is Panic! at the Disco’s most thematically cohesive and polished collection of uniquely eccentric, but meticulously crafted songs to date. It’s a multi-layered musical eargasm without a dud anywhere on its track list. Fervent fans will want to invest the time and effort required to seek out the six extra tracks found on various deluxe versions of the album. These days it is impossible to go anywhere without being bombarded by technology. Cell phones, MP3 players, laptops, electronic billboards and digital book readers are everywhere you look. The technological innovations of the digital age are certainly advantageous when used correctly and in moderation, but has society become so dependent upon technology that we have lost our humanity? It would seem so when attending a public event like a concert or movie. It’s as if people are so used to having media at their command 24/7, they no longer take time to relish the moment. When did it become acceptable behavior to talk during a movie or concert? More often than not, it has become impossible to enjoy live music without someone nearby talking or texting to the point of distraction throughout the performance. Live music is supposed to be listened to and not treated as mere background noise. It seems a majority of audience members think they are listening to the radio or a recording instead of seeing and hearing actual flesh-and-blood human beings performing their hearts out on stage. Considering the exorbitant cost of tickets nowadays, theatres and concert halls certainly are not appropriate places to conduct lengthy and meaningful conversations with friends. It keeps others from enjoying the show, and quite simply, it’s downright rude. It seems in our quest to obtain the latest electronic gadget, we have become more isolated and detached than ever. Somewhere along the way, it’s as if e-mailing, text messaging, and surfing the Internet on handheld devices have provided an excuse to ignore good manners and appropriate behavior when in public. Gone are the days when someone holds a door open, or says thank you or excuse me. These simple acts of kindness and manners have now become impossible to perform while clutching a cell phone. It simply is not acceptable to ignore proper etiquette and civility when encountering others on a day-to-day basis. So the next time you are out, take the time to notice others around you. Put down your cell phone and talk to the person you are actually having dinner with instead of texting someone who is elsewhere. Learn to be present and live in the moment, because that moment will never happen again. Be aware of your actions and how they may affect others in your immediate proximity. And please, remember to mind your manners. I just wanted to say thanks to all the artists and bands who have quoted from my music reviews. There is nothing more gratifying as a journalist than knowing my words have actually been read, digested, and mentioned. Thanks to the following: Jack and Diane, Kris Bell, Turtle Bangs, Awake! 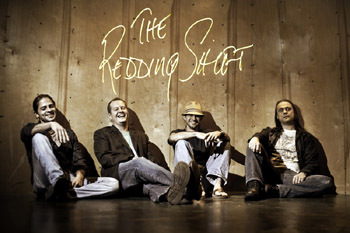 Awake!, The Great Affairs, Levi Massie, Social Distortion, and The Redding Shift. BJ Hill is a shining example of what can happen with a little bit of patience and perseverance. Currently working as senior director of A&R at publishing house Warner/Chappell Music, he has become a major player on Nashville’s Music Row since graduating from Middle Tennessee State University in 2000. With his signing of Charles Kelley and Dave Haywood of Grammy-winning country group Lady Antebellum among his list of achievements, Hill has managed to build an impressive resume during his relatively short 11 years in the music business. Originally from Ann Arbor, Mich., Hill heard about the recording industry program at MTSU while playing drums in a blues band during high school. When the band had the opportunity to cut an album, he became interested in the recording process. During his time in the studio, the record’s engineer/producer mentioned a friend who worked at MTSU and gave Hill his contact information. After checking out other colleges, Hill was most impressed with MTSU’s recording, production and technology program. During his college career, Hill took advantage of various internships in the music business, including Warner/Chappell Music where he made some important contacts, which ultimately resulted in landing his current position. His impressive job title is a direct result of time spent at MTSU and the opportunities that presented themselves while earning his bachelor of science degree. “Classes were crucial building blocks as a starting point. You gotta have hands on experience,” Hill explained about the highly competitive nature of the music business. Although originally picturing himself as a recording engineer, fate stepped in and changed Hill’s career path when he began working with songwriters venturing into the world of music publishing. “I love working with songwriters. Now I can’t think of doing anything else,” he confessed. “Every day is different. Sometimes my day starts off with an 8 o’clock breakfast meeting, while other days I might roll into the office about 10 in the morning and work until midnight.” The unpredictability of his job seems to be part of the excitement that keeps things fresh for Hill on a daily basis. He shared details of staff meetings, conference calls with the Los Angeles and/or New York branch offices, and the excitement of hearing new songs. No two days ever seemed to be the same as Hill continued to shed insight into the enigmatic world of a music industry professional. While broaching the subject of technology and changes he has witnessed during his time in music publishing, Hill stated compact discs are still the preferred medium when it comes to listening, archiving and pitching songs. When asked if he thought digital downloading has made music seem disposable, he responded emphatically, “Digitized music isn’t the same as a physical product, especially when it comes to the illegal downloading of music. Artists should be compensated for their work.” He agreed MP3s definitely have their advantages, such as portability and their ability to be emailed, but the inability to hold an actual tangible product or recording in your hand unquestionably adds an element of disposability to music these days. As the discussion shifted to the current state of the music business, which many describe as a dead or dying industry, Hill offered his opinion. “There will always be people who are passionate about getting their music to the masses. Unless something inconceivable happens, I don’t see the music industry ever going away,” Hill voiced, hoping to encourage current MTSU students aspiring to throw their hat into the musical arena. When asked if he had any sage advice for current Recording Industry majors, Hill advised students to take advantage of as many internships as possible and do the best possible job while interning. “Try to network with previous graduates in the industry, but don’t feel you are entitled to a career.” He also stressed the importance of building relationships with other students as well as faculty who may evolve into valuable connections after graduation. Hill’s greatest achievement to date is his tenacious pursuit of the publishing rights of Kelley and Haywood of white-hot trio Lady Antebellum at a time when other industry professionals considered them to be a high risk act. He then took a moment to reflect on what he has accomplished so far and confided how he thought his life has turned out all the better by not being confined in a recording studio as he had originally planned. “I get to see and work with various people during the day,” he explained. “I’m not stuck behind a desk or in a studio. This job also allows me the flexibility to raise a family and spend more time with them. I feel extremely lucky.” Lucky indeed, as Hill found himself in the company of Grammy night’s biggest winner, Lady Antebellum. In addition to his Lady Antebellum coup, Hill handles publishing duties for numerous clients including Wendell Mobley, one of Music City’s top songwriters, who has penned hits for Reba McEntire, Rascal Flatts, Trisha Yearwood and Carrie Underwood, just to name a few. BJ Hill has managed to carve out a successful and rewarding career for himself in the music business while enduring the ups and downs of corporate mergers, downsizing and illegal downloading. He has proven he has what it takes to succeed while overseeing his daily responsibilities in the artist and repertoire department at Warner/Chappell Music, one of the industry’s leading music publishers, whose roster includes Green Day, Madonna and Led Zeppelin. And to think it all started when he made the decision to attend college in a little town called Murfreesboro.